Taking on the challenges of a pipe burst, water heater malfunction, or an ice dam situation requires truly talented and skilled experts such as 911 Restoration Missoula owner Will Reed and his water damage Frenchtown team. Will and his water damage Frenchtown team know that the best way to limit the extent of damage that a water invasion can cause is to be at the scene of the leak, ice dam, or other flooding event quickly. Not only does Will and his water damage Frenchtown team have the ability to show up quickly and begin work immediately, but they are also available 24/7/365 for any type of project that springs up in homes or businesses. In addition to being able to show up to the scene of a water damage Frenchtown event quickly, they also make sure to bring all of the latest drying technology and advanced extraction equipment to the project so that there is nothing they can’t handle. Don’t let your home experience the ill effects of a water damage incident from an ice dam, pipe burst, or water heater malfunction. Contact Will and the water damage Frenchtown team with 911 Restoration Missoula and get all of your needs addressed today! 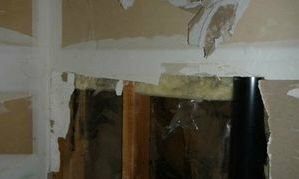 Will and his water damage Frenchtown crew are experts when it comes to solving the challenges of a water damage incident when it has already occurred, but they are also highly capable of helping people to prevent such events from ever taking place too. Make sure to take a moment now and again to trim off any dead branches that threaten to fall on your home in heavy rain or snow. These can severely damage your roof and cause water to pour in when there is a rain or snowstorm. Never let the temperature in your home drop below freezing, especially when you aren’t home, as this will allow ice to form in your pipes which can then cause a pipe burst to occur when you can’t be there to rectify it. Check the hoses, fittings, connectors, and all other elements that connect your water-based appliances to the main line. These can experience wear and tear over the years, and eventually they will fail when under pressure. Replace them if you see any small nicks or abrasions that may expand and cause you water damage. Let a plumbing expert or restoration professional take a look at your entire system with a snake scope to ensure that there are no small obstructions that might turn into a larger problem down the road if left to linger. If your home is in jeopardy of experiencing water damage loss from an ice dam, pipe burst, water heater malfunction or any other means, then don’t hesitate to contact Will and the water damage Frenchtown team with 911 Restoration Missoula today! Will and his water damage Frenchtown crew have seen and solved all variety of different restoration projects in their time and this is how they knew what the most likely source of the problem was when called out to a recent job. When Will and his team got to work they eliminated the water from the kitchen, and then found the source of the trouble in the bathroom shower. Will and the water damage Frenchtown team fixed the grout situation in the shower and sealed it up completely so that there wouldn’t be any opportunity for leaks in the future. Don’t let a long shower, pipe burst, ice dam or any other form of water damage ruin your lovely home. 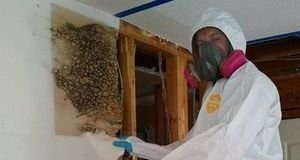 Contact Will and the water damage Frenchtown team with 911 Restoration Missoula and get all of your home’s needs addressed today!